First, a few words of disclosure. I am not a politician nor am I the son of a politician. I have spent the majority of my adult life involved in security and intelligence for the State of Israel. I voted for who I voted in the elections as a person fulfilling his civic duty. I watched from the sidelines what was happening in the country and my overall impression is that we Israelis have done miracles in this land. Despite the fact that I also had criticisms here and there, I never voiced them publicly. Over the last year I noticed, to the best of my understanding, experience and judgment, trends and approaches taken by some members of the ruling political establishment that endanger Israel’s continued future. As someone who has experienced up close the saga of the surprise of Yom Kippur War and as a concerned citizen, I cannot refrain from voicing a warning. I did so in an article that was published in the newspaper, Haaretz, at the end of November 2014, and tonight I wish to expand on what can and should be done in order to stop the dangerous descent on the slippery slope on which we are now standing. In response to the article that I published, I have already been branded a Messianic leftist, which I am not. In December 2010, I wrote a paper the final sentence of which stated, (quote) “In summary, it seems to me that despite our great desire to achieve peace, to my deep regret, an objective analysis of the global, regional and local conditions leads me to the conclusion that the best we can achieve today is delicate coexistence accompanied by an effort to create equality between the two sides in a mutual interests environment, to be developed into an agreement down the road” (end quote). I do not know of any leftist group in the country that would include this sentence in its platform! As stated, major changes have taken place in the country since 2010 as a result of which I feel obligated to express my opinion. 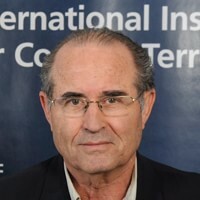 Whoever has followed Israeli political developments over the last few decades can clearly discern at the present time a process of fragmentation and collapse of the major political bodies that previously ruled the roost, and a desperate effort by the smaller parties to cross the threshold while the medium-sized parties strive to grow in order to exert greater influence on future coalitions. In the mid-term, each coalition will be made up of multiple parties, replete with coalition agreements and political compromises. Whoever takes a closer look will detect a consistent effort by one party – “The Jewish Home”, which represents religious Zionism and is aiming for the highest bar – to achieve power down the line! Not necessarily in the upcoming elections but certainly in the next ones. This effort is being made on several fronts. The first front is through increased influence in the IDF. This effort is made with the guidance and support of the Religious-Zionist rabbinical leadership. It is a sacred duty and pride to serve in the IDF, but not at the price of imposing the Jewish "Halacha" on the military, and to push it to the corner where commanders feel that they should clear with their Rabbis orders that they get from their superiors. We are not yet there but the signs already are obvious. The second front is through increased influence in Knesset committees, which control the allocation of budgets, in order to expand existing settlements and establish new ones. Recent publications in the press give rise to suspicions that the transfer of these funds is being done illegally. The third front is through the receipt of portfolios in the coalition, which enable the promotion of the party’s political agenda. The fourth front is through initiatives and influence in the legislative arena in order to disrupt the delicate balance between the “democratic” and the “Jewish”, the twin definitions of the state of Israel in our declaration of independence. The Nationality Law means granting national rights only to Jewish citizens of the State of Israel. This law seeks to fundamentally change the status quo as it relates to the definition of a nation state. Since the establishment of the State of Israel until today, the founding fathers and their descendants preferred to maintain ambiguity on this issue in order to circumvent the need to confront the “democratic” with the “Jewish”. In my opinion, another reason not to address this subject has to do with the issue of the State of Israel’s borders and how its demographics would look after the determination of its final borders. The Zionist enterprise is a secular enterprise; the time has come to enhance it with religious-national content. The time has come to change the existing ambiguity and to give the nation state a constitutional definition. Has the time really come to do this? According to today’s Religious Zionism, the “Jewish” proceeds the “democratic” and, therefore, the next required step is to affirm this in the Nationality Law. In my opinion, this law will serve as the corridor that leads to the parlor of a theocratic state. The Nationality Law is the groundwork for the future annexation of territories, which will enable the state to refuse Israeli citizenship to non-Jewish residents in the territories that will be annexed. This is the "Jewish Home’s" way to guarantee a Jewish majority in the State of Israel. In my opinion, as long as we remain a secular, multi-ethnic state without the annexation of territories, we will remain Israelis with a Jewish majority and minorities composed of Muslim Arabs, Christians, etc. The path of “The Jewish Home” and its partners leads to a theocratic apartheid state that will never be accepted by the enlightened world nor by world Jewry, which today accounts for about half of the Jewish people. A Jewish-American from Washington sent a letter to the New York Times (January 5, 2015) in which he wrote, (quote) “Prime Minister Benjamin Netanyahu’s “nation-state” bill — which calls upon Jews, not only in Israel but also by inference in the United States, to eschew democratic principles to pursue a quasi religious-national identity at the expense of universal principles — could be the measure that breaks the mystic bonds of common identity across the centuries that has given purpose to the Jewish experience.” (end quote). Such a country also will not be accepted by secular Jews from the left, right or center. Hillel Kook (1915-2001), a Revisionist and activist in his opinions and the nephew of Rav Kook, who was the father of moderate Religious Zionism in Israel. He immigrated to Israel in 1925 from Lithuania, served as a member of the Knesset’s constituent assembly, lived in the United States from 1951 until the 1960’s, and then returned to Israel. Hillel Kook believed that Israel needed to define itself as a “Hebrew Republic”, which would make Israel like the other nations. It would define its identity as national-cultural. Its culture would be based on the Hebrew language, national symbols and cultural values that the people residing in Zion would create on their land. As a resident of the United States for some time, Kook likely proposed the above definition of a nation based on America’s numerous ethnic groups. An American of Irish origin is an Irish-American, an American of Italian origin is an Italian-American, etc. The religious variable is not part of their defined national identity. In my humble opinion, Kook’s attempt to create an analogy between the American and Israeli definitions of a nation was flawed. It was flawed, first and foremost, because the United Statesis not a nation state but rather a state for all its citizens who immigrated to the country from all over the world. The Irish and the Italian left their homelands and immigrated to another country, not because they could not practice their religion in their homelands but due to economic and social adversity. The history of the Jewish people is infinitely longer than that of the Irish and the Italians. The Jewish Nation was landless for most of its existence and the main factor that preserved it throughout history was religion. So it was natural that since the beginning of the age of enlightenment and the continued growth of nationalism around the world, the landless Jewish Nation defined itself as national religious. Today we have a state, which is the central factor in the definition of any nation, and it called itself the “State of Israel”, made up of Jewish citizens in terms of nationality and not religion, but its final borders have still not been determined or accepted by the majority of countries in the world. In addition, given the country's ongoing conflict with the Palestinians and with some of its neighbors, the final demographic nature of the country is also unclear. In my opinion, the Nationality Law should not be enacted as it will be the device used in the next stage to unilaterally determine the final borders of the State of Israel by annexation and to determine a Jewish demographic majority. This process is being led by a young man, seemingly endowed with charm, who does not understand anything about matters of state and international relations, and this ignorance is liable to lead the State of Israel to very dangerous places. Therefore, at this juncture, the State of Israel must adopt policies that will guarantee it to be, first and foremost, a respected member of the family of enlightened nations around the world. Israel must continue to strive to determine its final borders in an agreement accepted by both the enlightened world and Israel’s enemies. Therefore, the Israeli government must continue to uphold its dual nature as “Jewish”, in the national sense of the word, and “democratic”. The Israeli-Palestinian conflict today is on a track of increasing alienation between the parties. There is no dialogue taking place, only mutual accusations from both sides. Cooperation on the ground and security coordination are unraveling. The Palestinians are taking unilateral political measures and Israel is threatening to take counter measures to the point of dismantling the Palestinian Authority and annexing territory. The various mediators have given up. However, one fact remains clear – the world casts the entire onus upon our shoulders – we are the powerful occupiers and they, the Palestinians, are the weak subjects. Our policy of ‘sit and do not act’, a passive policy of conflict management in an attempt to contain it, will not succeed in the long run. There is no doubt that when the parties to a conflict talk to one another, the flames start to dampen and talk gives rise to ideas. However, at the moment there is no way out of the deadlock, and in order to create new momentum we must look at what is happening in the region and see if it is possible to utilize the regional reality in order to break the deadlock and head towards a solution. Why should we seek the path to a political resolution of the conflict in the region? Because all of the previous attempts to date, which involved Western parties - especially the Americans but also the Europeans - did not succeed. They managed to bring both sides to the trough but they failed each time at the last minute. Those who remember the scene in Cairo - Arafat refusing to sign at the festive signing ceremony, Prime Minister Rabin and President Mubarak standing on both sides of the platform, the entire world watching them on television and holding its collective breath as the fiasco unfolds before their eyes, Mubarak screaming at Arafat: “Sign, you Dog!” and the great Arafat capitulating and signing – those who remember this scene have no choice but to conclude that Arab leaders in the Middle East have a better chance than Western leaders of not only bringing the sides (Israel and the Palestinians) to the trough but of persuading them to drink from its water. What is it about the Saudi Initiative that the Arab League adopted on March 28, 2002 at the annual Arab Summit that was held in Beirut? First of all it is short, which indicates its seriousness, and it is based on the pronouncement made at the Arab Summit in Cairo in June 1996 that a full and just peace in the Middle East is the choice of the Arab States. The initiative emphasizes that the Arab States are convinced that a military solution to the conflict will not bring peace and will not provide security to both parties. A political resolution to the conflict is, therefore, the strategic goal. Complete withdrawal from all territories that were conquered in 1967, including the Golan Heights, to the June 4, 1967 borders, and including the territories still occupied in southern Lebanon. A just solution to the Palestinian refugee problem in accordance with UN General Assembly Resolution 194. The League Council rejects the arrangement in which Palestinian refugees would receive citizenship from their host countries. Acceptance of the establishment of an independent and sovereign Palestinian state on the territories occupied since June 4, 1967 in the West Bank and Gaza Strip with East Jerusalem as its capital. Declare the end of the Israeli-Arab conflict and create a peace agreement with Israel that will provide security for all countries in the region. Establish normal relations with Israel as part of this comprehensive peace. An additional 35 Muslim countries later joined the initiative, bringing to 57 the total number of countries in support of the initiative. For generations, the governments of Israel have adhered to the principle that only bilateral negotiations should be held, between Israel and the Palestinians. To quote a great man, in discussing the 2002 Arab League Initiative, Shimon Peres called the Saudi Initiative an important step and said that he felt it necessary to emphasize that (quote) “the details of any peace agreement must obviously be discussed directly between Israel and the Palestinians” (end quote). In a six-eyes meeting with Mubarak, whenever I mentioned the Palestinians or their leaders, he would use obscene Arabic words and expressions indicating that he could not tolerate them. In a meeting with Sultan Qaboos, when I asked him how many Palestinians there are in his country, he looked and me and replied – there never were any and there will never be any! In many meetings with King Hussein, he would let out a sigh at any mention of the Palestinian issue. Indeed, King Hussein was the only Arab leader that allowed the Palestinians to choose Jordanian citizenship…but the highest ranking Palestinian in the Jordanian army has the rank of Private. In a meeting with the King of Morocco, King Hassan II, he described the Palestinians as the headache of the Arab world. In the 1991 Gulf War, when the Palestinians supported Saddam Hussein, the ruler of Kuwait expelled all of the Palestinians (approximately 300,000) from his country with 48 hours warning. They have never returned to Kuwait. The above-mentioned meetings, as well as many others, were held in secret with only a few people in attendance and no recorded protocols and, therefore, I believe that the things I heard were authentic, unlike in official meetings where the protocol forces the speakers to watch what they say. The timing of the initiative may have stemmed from the desire of Arab League members, especially Saudi Arabia, to change the world’s image of Arabs after the September 11, 2001 terrorist attacks in New York. The near automatic Israeli rejection of the initiative seemed to stem from the notion that the League’s proposal is not subject to negotiation, as well as the fact that it mentions UN Resolution 194 in the context of the refugee issue and states that the guarantees made to Israel will only be honored after Israel makes its concessions. It is important to note that in the various rounds of negotiations with the Palestinians since 2002, the demands that appear in the text of the Arab League initiative have softened a great deal. On the issue of territories, there is the added component of territory swaps and Palestinian consent to settlement blocs. On the issue of refugees, the Palestinians today agree to a much more moderate wording. On the issue on Jerusalem, the position of the Palestinians has begun to soften. 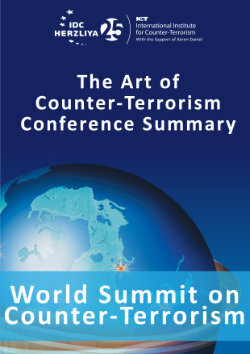 In January 2007, signals were sent from the Arab world that the initiative is not intractable and is subject to negotiations. And on July 8, 2014, in an article written by Saudi Prince Turki al-Faisal in the newspaper, Haaretz, he explicitly stated that the initiative is not a dictate but rather a basis for negotiations. If Israel accepts the Arab League proposal, before the end of hostilities in Syria, Israel needs to demand that the Golan Heights issue should be put on hold until the new borders of Syria and Iraq are determined. It can be assumed that the other side will need to accept this demand which in reality will mean Israel’s continued sovereignty over the Golan Heights in the long-term. Why is it so important today to adopt the Saudi Initiative as an anchor to resume negotiations to resolve the conflict? The political, strategic and military situation at this time creates unprecedented common interests between Israel, Egypt, Jordan, Saudi Arabia and the Gulf States (except Qatar). All of these countries face two major threats, albeit at varying intensities: Iran and the Islamic State. Assuming that the United States and Europe will support such a process, the chances of an agreement with the Palestinians, as well as a new regional agreement, are also much greater. If the process succeeds, then Israel will regain the world’s support and the recognition that it is capable of making a significant positive contribution to the stability of the region. Regional stability will enable the Israeli government to extract itself from the major problem of the occupation, thereby freeing us to deal with overwhelming corruption and with our social, educational and economic problems. 365 billion NIS would be added to the cumulative budget during the first 10 years. 67 billion NIS would be added to the budget each year starting in the eleventh year. The GDP per capita would increase by 33% to 50,000 dollars per year. Reduce the security budget to that of the United States (4.5% GDP); in other words, a reduction of approximately 10 billion NIS per year at the end of 10 years. Reduce investments in settlements – approximately 1 billion NIS per year (net). Save in interests payments on the national debt in the amount of 2 billion NIS per year. A combination of additional sources amounting to 54 billion NIS, and the reduction of expenses amounting to 13 billion NIS per year, will result in an additional 67 billion NIS per year at the end of the 10-year period. Ease the tax burden by reducing the VAT to 12%, enabling the improvement of public services for citizens each year by 45 billion NIS, to be divided among health, education and higher education, homeland security, local authorities and infrastructure, and a reduction in housing prices. What does all this mean to the citizens? An average increase of 25%-33% to the average income. Less taxes and an increase of 35%-40% in disposable income. More jobs and less unemployment. More personal safety and less crime. And one last statistic: In a survey from February 2014, 75.5% of Jewish Israeli residents support a regional peace agreement based on the Arab Initiative. A final word that might sound like campaigning but on this occasion is being voiced by a concerned citizen. In the upcoming elections, the duty to vote is more critical than in all previous elections because these elections will determine the direction in which the State of Israel will be steered by its leaders. Will it be towards continued deadlock and lack of initiative? Towards additional rounds of battle in the south and in the north? Towards ostracism by the enlightened world and towards a theocratic state? Or towards a new horizon of a regional agreement, including a solution to the Israel-Palestinian conflict, and the first ever real solution to the problems in our society and economy?